But once we joined what evolved into the European Union in 1973, the Commonwealth – or rather, if one adds in the long-lost American colonies, the Anglosphere – became of secondary importance to Britons, as we pooled our sovereignty and made trading relationships in common with our partners in Europe. This caused a certain amount of distaste here. Whereas our Commonwealth cousins, from Australia and elsewhere, had always had right of entry into the old Mother Country, now they had to prove a grandparent to get in. Most of us became used to meeting Australians in Britain who had, through an Italian or Greek grandparent, obtained the EU passport necessary to come into Britain at will. Such arrangements grated with those old enough to recall when Britain could not find enough Australians, Canadians, New Zealanders and Indians to help defend her from German aggression in two world wars. Germans, by this stage, could waltz into the United Kingdom at will, and live and work there. But when the campaign to leave the European Union formally organised itself about a year ago, and started to outline what life would be like if it achieved its aims and, indeed, left, the Commonwealth started to assume an importance it had not had for more than 40 years. The talk was now of trading globally: with China, and Brazil, of course, but more to the point with those nations with whom the British share ties of history, blood and language. The new British prime minister, Theresa May, appointed a Secretary of State for International Trade in her cabinet; Dr Liam Fox, who had been one of the most ardent campaigners to leave, and who had been closely associated in his earlier days with the late Lady Thatcher. Dr Fox immediately got on a plane to India, and since then has continued to travel the world to discuss possible trade deals for Britain. He is not permitted to conclude any such deals yet – that cannot happen until Britain has left the EU, which may take another two and half years – but his travels will also include the US, where he has fostered close political links for the last 20 years. But the Anglosphere – as memories of those from it who died in those two world wars remind us – is about more than just trade. Britain’s place in the North Atlantic Treaty Organisation has institutionalised its reliance on the US for its defence: something many Britons are becoming more keenly aware of as Vladimir Putin and Russia become more capricious and unreliable. 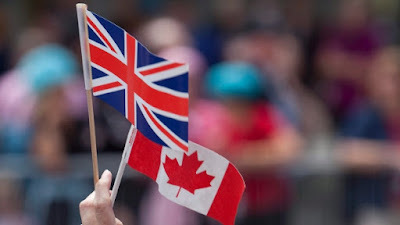 Because of shared ties of language, culture and history the Anglosphere is popular with the British public, and for now serves the function of a comfortable suit of clothes that has hung in the wardrobe unused for many years but which, on being pulled out, turns out still to fit very well. Added to the fact that millions of Britons have close family members living in those countries, all these considerations make a re-commitment to the Anglosphere popular with many Britons. 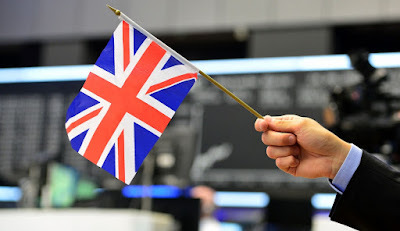 There remains a large proportion of Britons who are angry and offended by the result of June’s referendum, and will not be reconciled to it: but they are nowhere near a majority of opinion, and they understand the benefits of good relations with America and the Commonwealth. They are not hostile to the idea of an Anglosphere, but regret that it seems to be necessary. Once the trade deals start to stack up – as they will – acceptance will grow. Barack Obama was enticed during the referendum campaign to interfere and warn Britons that they would go ‘to the back of the queue’ if they left the EU when it came to negotiating a trade deal with the US. It had a poor effect on British public opinion, and is credited as one reason why Britain chose to leave. Mr Obama will not be president once the time comes to do a deal, so his views are academic: and numerous other US politicians have gainsaid him, keen as they are to do a deal with the country that is America’s biggest overseas investor. It won’t happen overnight, but the Anglosphere is on its way back as the focus of British engagement with the world.